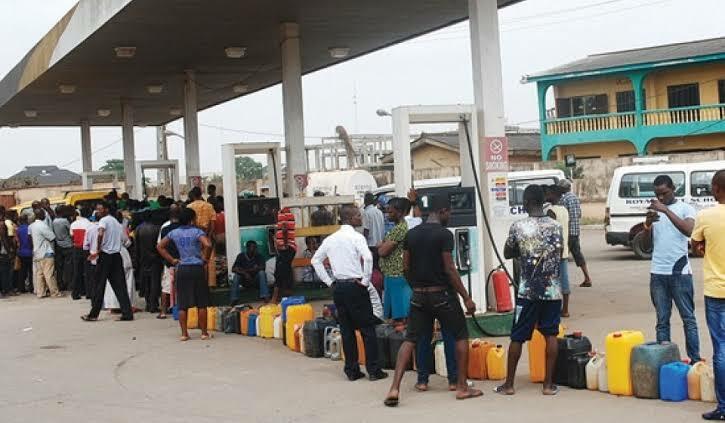 The Major Oil Marketers Association of Nigeria, MOMAN, on Friday April 12 urged Nigerians to stop panicking over fuel scarcity, while assuring the association’s effective distribution of petroleum products across the country. Executive Secretary, Mr. Clement Isong, gave the assurance in Lagos against the backdrop of the ongoing queues at the filling station in some part of the States. According to Isong, MOMAN is working very closely with NNPC to ensure that the queues will soon disappear immediately. "There were some operational challenges at the jetty which had been addressed. MOMAN had product and we are still receiving product from NNPC at official price. Am assuring Nigerians that there won’t be scarcity and the little challenges from the discharging reception at the jetty had been address. No cause for alarm, queue at the stations will disappear in a short while,’’ Isong assured. “In line with government’s efforts at ensuring efficient petroleum products distribution across the country, MOMAN members have opted for a seamless distribution of petroleum products. We are working to present a common front that will easily drive government policies and ensure smooth distribution of petroleum products across the country,” he said. The Executive Secretary of Depot and Petroleum Products Marketers Association of Nigeria, DAPPMAN, Mr. Olufemi Adewole said NNPC distribution pricing had been a major issue for depot owners, adding that for now no members had product in his facilities. Adewole said that the price at which NNPC is given members and other charges makes it extremely difficult for them, saying "It’s not profitable, because we are getting it between N139 and N140 per litre with other additional charges, then at what price do we sell it’’,. According to him, "NPPC had product but with the NNPC price and other cost incurred, like cost of hiring vessel it will be on the high side and we have informed them but nothing was done. We asked them to give us credit facilities as it was done to MOMAN but they refused. The differences in pricing had been the issue. We have advised them to give us credit facilities and remove the finance cost and if they deliver as it was done to MOMAN they should remove the freight cost but they have not done so, for now DAPPMA don’t have products,’’ he said. Chairman, Western Zone of Independent Petroleum Marketers Association of Nigeria, IPMAN, Alhaji Debo Ahmed said that the ongoing queues at some stations was due to shortfall in NNPC distribution network to depots , adding that all depot within the South West were loading at low paste due to insufficient products. According to Ahmed, "We have lots of pending tickets from marketers awaiting loading at each depots but were still stranded". Chairman, IPMAN Ejigbo Satellite depot, Alhaji Ayo Alanamu attributed the challenges to shortfall of product from NNPC, adding that marketers (MOMAN, IPMAN and NNPC retails) battled with 40-trucks on daily basis which was not sufficient. Alanamu urged government to expedite action towards importing more products to avoid another round of scarcity that had been put to end, adding that depot owners were also contributing to the scarcity due to the hike in pricing. In a statement released on its verified Twitter handle and signed by Ndu Ughamadu, its Group General Manager, Group Public Affairs Division, NNPC said it had over one billion litres of fuel in stock.